i’ve been vegan for a short while now, and i’m really working on my confidence to sticking with it! every vegan out there sure will know what i’m talking about: family-dinners, parties, eation out with non-vegans and so on always leads to discussions and these situations often are not so easy to handle. you need to talk about your reasons over and over again, bear with rude comments and annoyed looks and are the centre of discussions soon as anybody notices- to someone who doesn’t like being in the spotlight, like me, that’s not really fun. today i’m invited to a small barbecue at my uncle&aunt’s. my good friend Lena is also coming, and we’re gonna eat, chat & make some music there. when the idea come up we soon got talking about who’s gonna bring what. i offered to take care of some vegan alternatives such as vegan burgers and Lena said she would be happy to bring a tiramisú, but she would, of course, use eggs and dairy for this dessert. here i was again: abandoning dessert? me? nah. therefore i decided to bring some vegan dessert. my uncle, by the way, implied that he couldn’t believe a dessert without eggs & dairy could taste well…to me, this made my desicion even more clear: this called for a challenge! when i thought of a simple but delicious vegan dessert that would that would knock these non-vegans socks of, i became aware of the fact that i needed to find a recipe that would not taste that healthy as i usually like it. 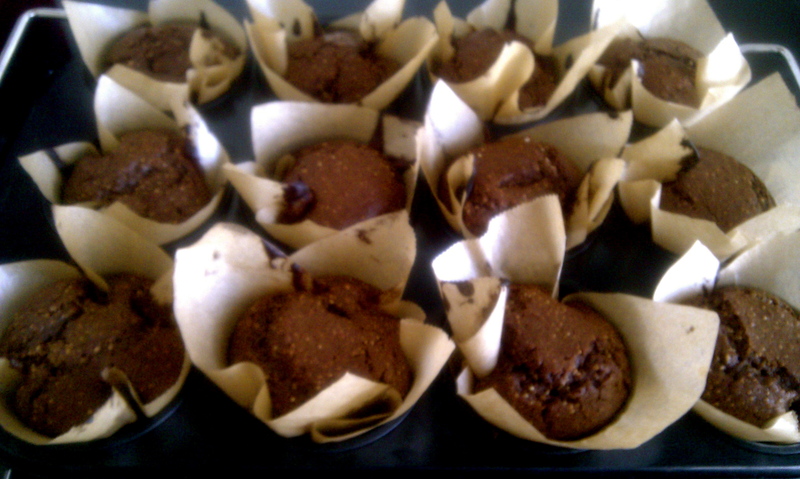 hence these little goodies need to show off to non-vegans, the recipe contains more sugar than i would normally use, so that nobody would notice a difference in taste to regular muffins. so, if you like a more “healthy” or less-sweet taste, you can easily cut down the amount of sugar or use some other sweetener. –> mix the wet ingredients and then slowly add the dry ones. mix well but not too long! 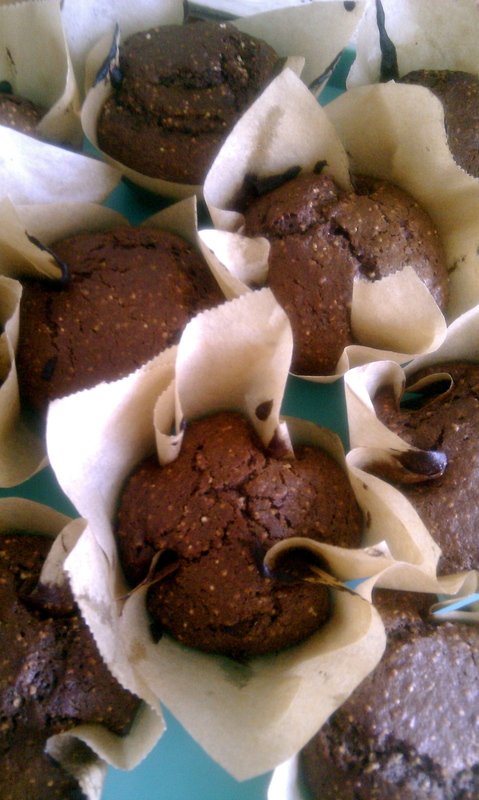 fill the dough into your baking form & press 1 piece of chocolate into each muffin. bake for about 22 min. 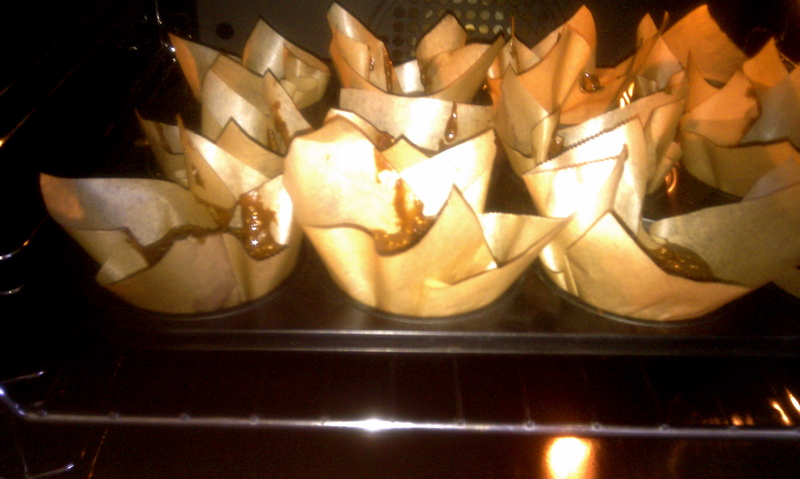 at 175° C., then let cool down. 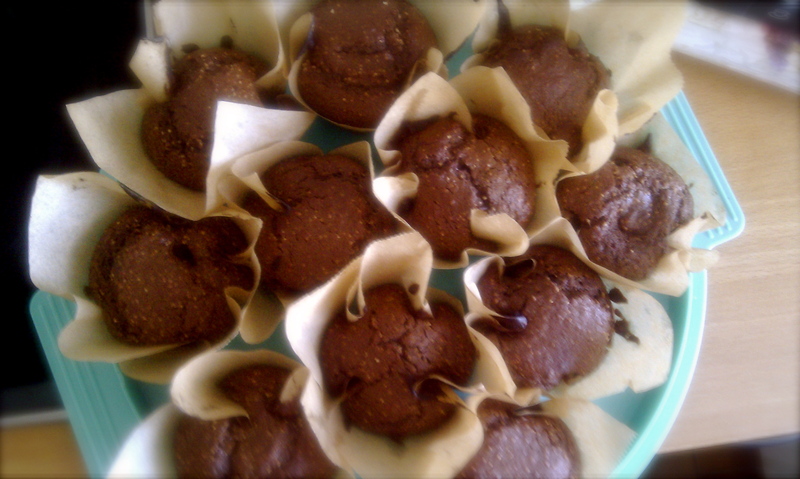 both of my little brothers tried the muffins and LOVED them! 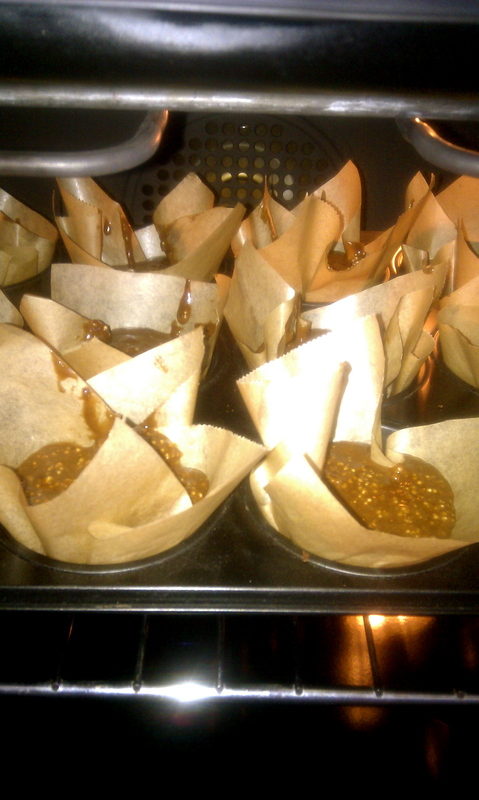 i am sooo excited if these muffins will convince my non-vegan fellows! so, try these and stay strong! Next postcall me the “Queen of Home Improvement”!